Welcome to Maxistorm Janitorial Services! We offer professional, high quality services for all commercial and residential cleaning needs at reasonable rates. Once you give our services a try, you will be calling on us for all your cleaning needs. Our highly trained, dependable and screened technicians take great pride in providing superior workmanship through special attention to detail using the latest cleaning practices and technology. We are dedicated to helping protect your corporate image, reduce safety hazards, minimize costs, improve employee morale, and protecting the environment. We hire effective and well trained employees who are thorough and it shows. 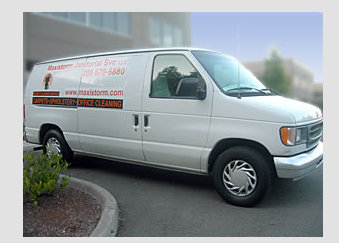 What's more, Maxistorm Janitorial is not a franchise, we are local, family owned and operated. So we extend middlemen savings to our customers by providing great rates. By having Maxistorm Services maintain your facility you will be promoting a Minority / disadvantaged owned business. Kent, Seattle, Auburn, Covington, Newcastle, Pacific, Federal Way, Fife, Bellevue, Burien, Puyallup, Sumner, Renton, Tukwila, Des Moines, SeaTac, Mercer Island.